In 2009, the owner mastered the sikll of Takoyaki at a famous Takoyaki restaurant in Osaka, Japan. When he first arrived, he understood that many people where not familiar with the concept of Takoyaki. Instead of opening a restaurant, he sold Takoyaki at various venues from a food truck and at festival events. By going to different events and introducing takoyaki, he allowed more people to learn about this creative and tasty dish. The owner, Mr. Takeo, was born and raised in Osaka, which is also the birthplace of Takoyaki. 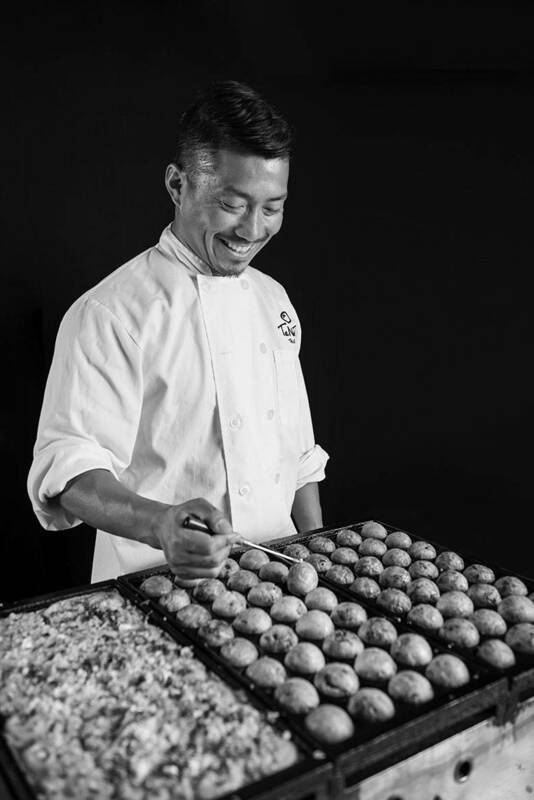 Mr. Takeo wanted to prepare the food in front of his guests to provide them with a handmade authentic experience.